The creative minds behind the Night Vale Presents network are introducing new shows exploring the realm of music, continuing to push forward their unique take on audio drama and non-fiction shows. Two new podcasts, I Only Listen to the Mountain Goats and It Makes A Sound, premiere this fall, alongside season two of critical favorite Within the Wires. Each show offers a unique perspective on art and storytelling—using creativity as a launch pad for both conversation and discovery—a hallmark combination of the Night Vale universe. The central question that runs throughout each of these series: What happens to art when it is released into the world? I Only Listen to the Mountain Goats is a conversation series featuring Welcome to Night Vale and Alice Isn’t Dead creator Joseph Fink and John Darnielle, the founder, lead singer, and songwriter for beloved indie-rock icons the Mountain Goats—and Fink’s own personal artistic hero. Together, Fink and Darnielle take the listener on a deep dive into the world of creativity and the duality of being an artist and a fan, both by sharing their own creative processes and music-geek obsessions and through immersive chats with other notable musicians and writers. Season one of I Only Listen to the Mountain Goats focuses on the band’s seminal All Hail West Texas album from 2002, and the conversations range from introspective to intense, and are always revelatory. Fink and Darnielle engage each other in conversation on everything from the smallest bits of Mountain Goats trivia—like the surprising inspiration for the “Hail Satan” lyrics on “The Best Ever Death Metal Band In Denton”—to big questions about philosophies toward creating art: Does it come from divine inspiration, or can creativity be treated as a day job? As deeply political people, Fink and Darnielle also address current events and hot-button issues like immigration and the idea of sanctuary. They share their opinion on whether artists or works of art have a responsibility to respond to politics and political events. To help tackle some of these larger topics, Fink and Darnielle invite other artistic leaders to discuss, debate, and share never-before-told stories about their own creative process, including best-selling YA author and music nerd John Green (The Fault in Our Stars) and Merge Records co-founder Mac McCaughan (Superchunk), as well as many special music guests such as Andrew Bird, Craig Finn, Laura Jane Grace, and Amanda Palmer, who offer up their opinions as well as new renditions of songs from All Hail West Texas. Each episode of I Only Listen to the Mountain Goats will feature a cover song specifically recorded for this podcast. Merge Records will release a digital single of each cover when the corresponding podcast episode is released, starting with Laura Jane Grace’s cover of “The Best Ever Death Metal Band in Denton” on September 28. Merge will release the full set of covers of the entirety of All Hail West Texas as an album at the end of the season. I Only Listen to the Mountain Goats is a collaboration between Merge Records, Night Vale Presents, and the Mountain Goats. The conversations on I Only Listen to the Mountain Goats reveal just how personal everyone’s connection to art is, and the music shows us that even if an artist is an originator of a piece of work, they never truly own it. We all do. Season one of I Only Listen to the Mountain Goats premieres September 28, 2017 and episodes will be released every other week until March 29, 2018. Like I Only Listen to the Mountain Goats, Night Vale Presents’ new fiction show tackles the life of a songwriter, but from the flipside of the coin. It Makes A Sound explores what it means to love an artist and a work of art through a unique fictional perspective. The show poses the question: When was the last time you were struck by the truly extraordinary in your life, and do you remember the key that unlocked the infinite possibilities of the universe to you? Deirdre Gardner, who has returned home to the now-abandoned golf course community she grew up in, discovers “the answer” in a dusty attic: a cassette tape from 1992 that is the only known recording of forgotten local musical icon Wim Faros. Over nine episodes, It Makes A Sound follows Deirdre’s tenacious pursuit to honor Wim’s legacy—a quest to revive the soundtrack to her generation. Narrated, created, and co-directed by Jacquelyn Landgraf (actor, writer, director, and downtown theater curio; a longtime member of the New York Neo-Futurists), with original music by Nate Weida and co-directed by Anya Saffir, It Makes A Sound explores themes of love, loneliness, and longing and reminds us of something that lives intimately in our memory. Youthful exuberance told through the lens of a gifted storyteller, all set to the single-copy soundtrack of Wim Faros. While It Makes A Sound’s songwriter is fictional, the podcast will unlock memories and feelings from your own youth. Season one of It Makes A Sound, which also features the voices of Annie Golden (Orange Is the New Black, Hair), Siobhan Fallon (Saturday Night Live, Wayward Pines), and other special guests, launches on September 24, 2017 with new episodes every two weeks through January 9, 2018. Night Vale Presents’ fictional found-audio drama, Within the Wires, returns with a new story told from an alternate universe. Season two, “Museum Audio Tours,” tells its story in the guise of ten audio museum guides. Over the course of a decade of worldwide exhibitions, these walkthroughs explore the complex relationship between the narrator, journalist, and artist Roimata Mangakāhia (voiced by actress Rima Te Wiata of Hunt for the Wilderpeople and Housebound), and her mentor, esteemed artist Claudia Atieno, while unraveling the mystery of the latter’s disappearance. 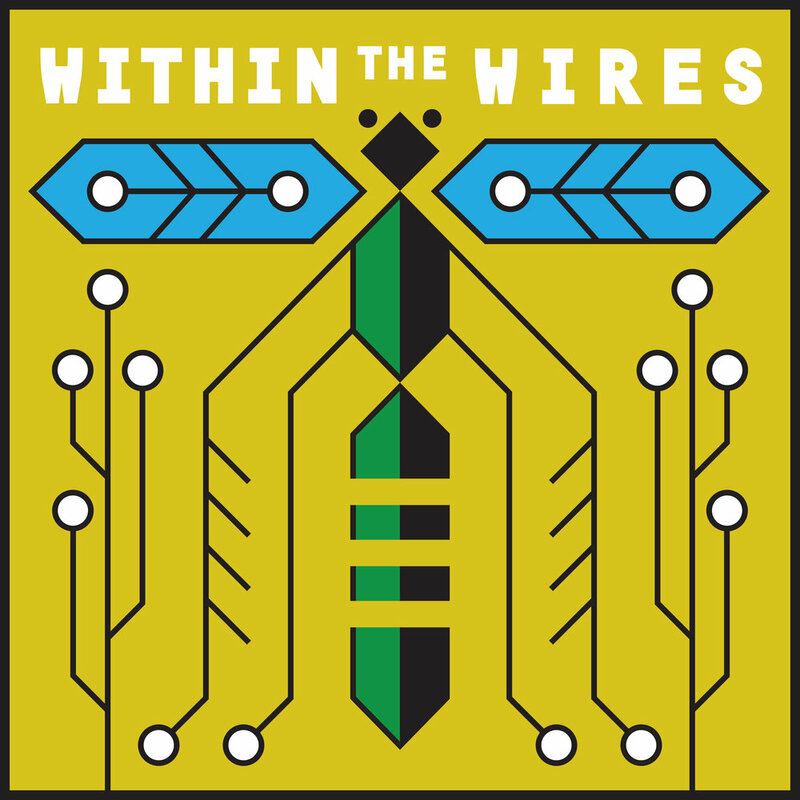 Season two of Within the Wires, “Museum Audio Tours,” serves as a prequel to season one’s breakout hit “Relaxation Tapes” and premiered on September 5, 2017 with new episodes every two weeks through January 14, 2018. All three podcasts will be available for free on Apple Podcasts, RadioPublic, and wherever listeners can access podcasts. Inspired to “keep finding new ways to tell stories within what is still a very young medium,” Joseph Fink and Jeffrey Cranor launched the Night Vale Presents network in early 2016, continuing their mission to encourage independent podcasting from writers and artists who haven’t worked in the format before. The cornerstone of the network is Welcome to Night Vale, which has grown to be one of the most downloaded podcasts in the world since its debut in 2012, and has garnered over 170 million downloads. Welcome to Night Vale holds live shows around the world and the first Welcome to Night Vale novel, a New York Times Bestseller written by Fink and Cranor, will be followed by a new book on October 17. Night Vale Presents’ other fictional series—Alice Isn’t Dead, Within The Wires, and The Orbiting Human Circus (of the Air)­—all debuted in the Apple Podcasts Top 10. The network’s most recent original show, the non-fiction series Conversations with People Who Hate Me, launched in July to critical and listener acclaim. For more information, go to www.nightvalepresents.com. John Darnielle is the singer from the Mountain Goats and a New York Times bestselling novelist whose sophomore novel Universal Harvester was released in February. His debut novel, Wolf in White Van, was nominated for a National Book Award, and was a finalist for the Los Angeles Times Book Prize for first fiction. The Mountain Goats are on tour now in support of their critically acclaimed new album, Goths. For information on that and more, go to www.mountain-goats.com.